To Australia’s disappointment, Qantas stated on Monday June 4 2018 that it would comply with China’s request to list Taiwan as Chinese territory. China has exerted similar pressure on several airline private companies and even set a deadline in April, so that Taiwan, Hong Kong and Macau, should be listed as part of China by 25 of May. Although some airlines have deliberately ignored this deadline, Qantas complied. This case represents a setback to the current proposed Australian law designed to prevent foreign interference, notably following disturbing reports of Chinese influence in political activity. Australia has criticised China for pressuring Qantas to list Taiwan as a Chinese territory on its website. Qantas said on Monday that it would comply with the request from China, which considers self-ruling Taiwan a breakaway province. China made the same request to more than 40 other airlines, a move the US has called "Orwellian nonsense". Australian Foreign Minister Julie Bishop said Qantas alone should decide how it runs its website. "Private companies should be free to conduct their usual business operations free from political pressure of governments," she said in a statement on Tuesday. Ms Bishop's comment comes amid diplomatic tensions between the nations over proposed new Australian laws designed to prevent foreign interference. In April, Beijing set a deadline of 25 May for the foreign airlines to abide by China's sovereignty claims by listing Taiwan, Hong Kong and Macau as part of China on their website menus, not as separate places. 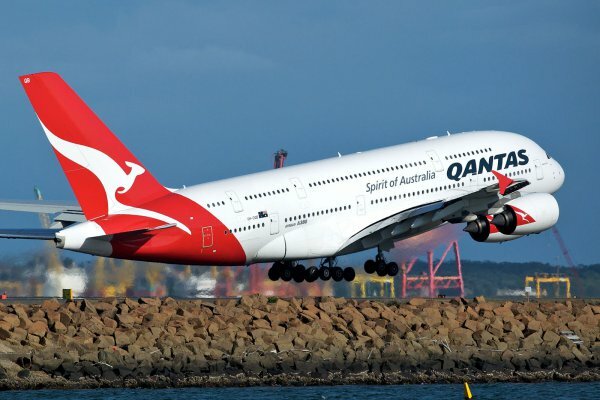 Qantas was later given an extension, but confirmed its decision at an International Air Transport Association (Iata) meeting in Sydney. "Our intention is to meet the requirements. It's just taking time to get there," chief executive Alan Joyce said. Qantas noted its decision was in line with the Australian government's long-held position on Taiwan. Many airlines have complied with China's request, although others such as United Airlines and Delta missed the deadline. In December, Australian Prime Minister Malcolm Turnbull noted "disturbing reports about Chinese influence" when he announced a crackdown on foreign interference into local political processes. The crackdown followed a classified government paper that reportedly detailed efforts by Beijing to compromise policy-making. Beijing has described such allegations as "hysteria". China is becoming increasingly vocal about any suggestion that Taiwan is an independent country. Last month, the White House said the Civil Aviation Administration of China's letter was an attempt to impose Beijing's political views on others. "We call on China to stop threatening and coercing American carriers and citizens," it said in a statement.